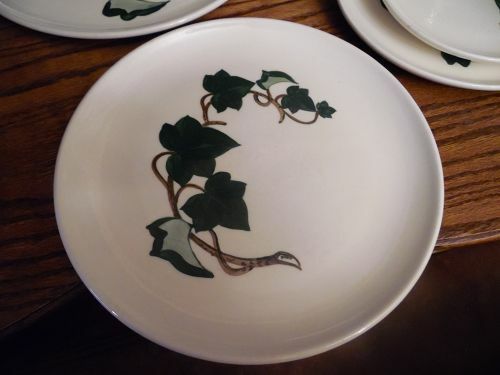 Metlox Pottery Poppy Trail 10 3/8" dinner plate in the California Ivy pattern. Perfect condition with no nicks, chips, cracks or repairs. I have 2 available, and price is per plate. 1946-1986, old mark. See all the other pieces I will be listing from this set.